Tales from a tribble: Congratulations to the 2014 NBA Champions - "The Team!" Congratulations to the 2014 NBA Champions - "The Team!" 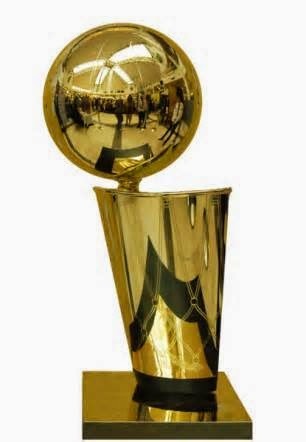 Congratulations to the 2014 NBA Champion San Antonio Spurs and congratulations to 22 year old, Kawhi Leonard, the finals MVP. Cinco, baby! I for one am thrilled that happened. 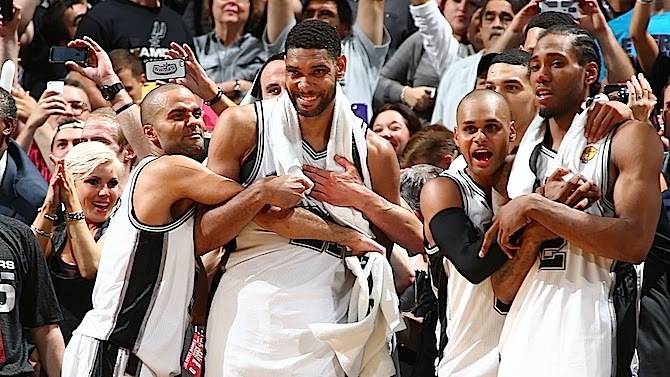 I am most happy for the pro's pro, gentleman and great player Tim Duncan, and for coach Greg "Poppy" Popovich. I am also thrilled for another Texas city, San Antonio, for winning another championship. It was #5 for San Antonio and #8 for the state of Texas. What an amazing accomplishment this was. You see this whole season was set up by the Spurs devastating loss in the finals to the Heat in 2013. The Spurs had a 3-2 lead in the finals before "blowing", in a gut wrenching way, a win in game 6 and a win for the championship. The Spurs admitted that those finals were devastating to them and they dedicated the whole next season to getting back to the finals, playing the Heat again, and gaining redemption. Then they make a dream come true as they ended up with the best record in the NBA, gaining home court throughout the playoffs and meeting and destroying the Heat in the finals. Wow! I can't remember a similar situation in sports where that scenario has ever happened before. What usually happens after such a heart breaking loss in the season before, when a championship slips through a team's fingers, is the next season turns out not so good for that team, as the loss affects them the whole season. For Coach Popovich and the San Antonio Spurs to mentally turn such a loss the season before into such success for the entire long season and playoffs is truly amazing. Bravo, Spurs! 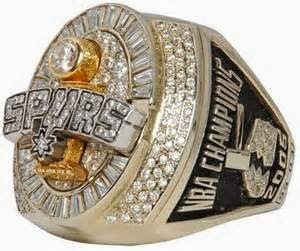 Another reason I am so thrilled by "The Team's" win was we finally get to stop hearing all the pronouncements from the sports media, like The Heat are on their way to a certain dynasty, when they missed the true dynasty these last 15 years - the San Antonio Spurs. We finally get to stop hearing how LeBron James has overtaken Michael Jordan as the greatest player ever. Michael Jordan's teams, in all his championship finals, lost by 15 or more times once. LeBron James' Heat lost 4 times in this one finals series. LeBron James joins a list of great players - those other than Michael Jordan. And the media throughout the finals have called these by far the best two teams in the NBA. Oh, really. Who's to say that the OKC Thunder, the LA Clippers, the Portland Trail Blazers or the Houston Rockets, all teams with the same or better records than the Heat during the regular season, couldn't have beaten the Heat in a 7 game series. LeBron James is the best player in the game today, that is not in dispute. He is an awesome talent. But without even having played one game with Bosh and Wade, to predict that the Heat would win at least 8 [remember he said not 7] NBA titles with that triumvirate, was just a little too much for a lot of people. And think about how the rest of the teammates of the Heat must have felt. He was talking about how those three players wouldn't just win two, or three, ... So, like they could do it all by themselves. But maybe we are looking at this the wrong way. LeBron was prescient as he did get most of his prediction right. He did say that it won't be three, it won't be four, it won't be five, it won't be six, and it won't be seven. Wow, LeBron will turn out to be right after all. Great article Mike. Michael Jordan proved that if you take a great player and add some very good marketing, you can create a legend and a brand. Lebron proved that if you take a very good player and add exceptional marketing, you can make a lot of money. After his record of double-doubles reaches Duncan's numbers, he can come back and start talking dynasty.